Rizistal Corner protection is a heavy duty product to prevent exposed plant and machinery from getting damaged by heavy vehicles and other factory impact. PR820 is manufactures from 6mm mild steel, the protectors are powder coated in a highly visible yellow. 4no anchor through bolts for concrete are supplied free of charge with every Corner Unit. If you require fixings for tarmac/asphalt, please specify in the order notes on checkout. Rizistal Corner Protection is a heavy duty product to prevent exposed plant and machinery from getting damaged by heavy vehicles and other factory traffic impact. 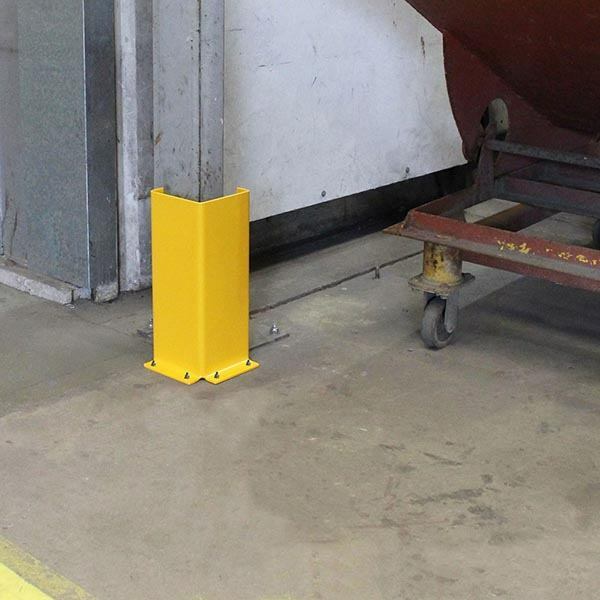 Manufactured from 6mm mild steel, the protectors are powder coated in a highly visible yellow (BS08E51).